The Extech EZ40 EzFlex Combustible Gas Detector has a 16 inch gooseneck for easy access into hard to reach locations. 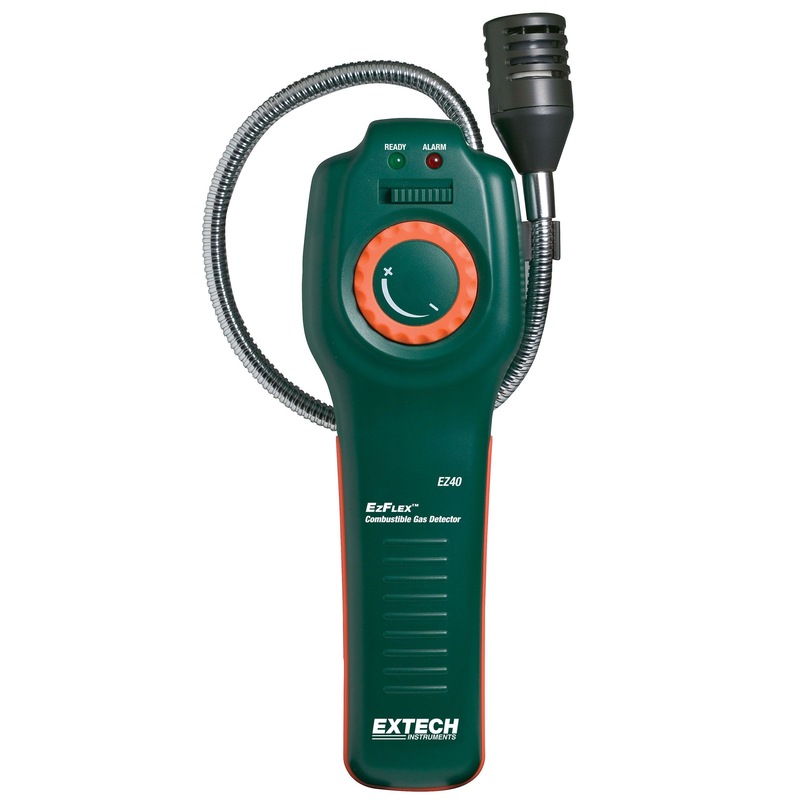 Detector has a high sensitivity and a one hand operation with thumb controlled sensitivity adjustments to eliminate the background gas levels. It has a visible and audible alarm at 10% (LEL) lower explosive limited for methane. This gas detector will help you locate the smallest leaks. Complete with 3 C batteries.